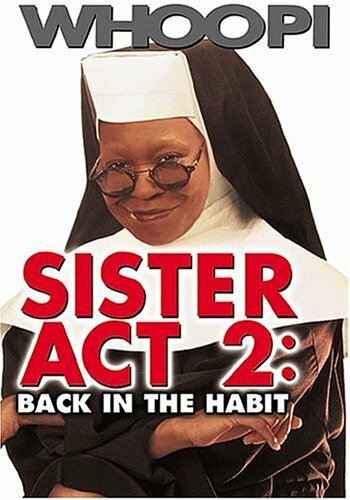 Lauren Hennessy proudly (p)resents “Sister Act 2: Back in the Habit.” Chemda Hennessy joins her husband and me (or is it “I?”) to recap this film. The catch? Lauren LOVES this movie! He’s actually presenting this movie. No irony! This episode is filled with singing, scene recreations and poop jokes. That’s right, poop jokes! Lauren and Chemda sing parts of the great songs from the movie. Lauren acts out all the parts of the terrible writing. This married couple not only love this movie, but they hate “Bridesmaids.” They’re not afraid to tell you why. Disagree? Have a favorite Sister Act 2 moment? Comment on our Facebook page. 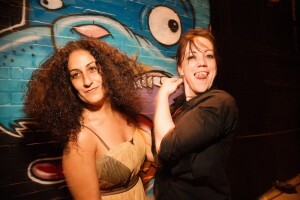 I was on Lauren’s show “Bottoms Up with Hennessy.” I tell stories I never tell. Check out Where are they now for the cast of the movie. Show Stuff: This week was supposed to be off, but I loved recording this episode so much I had to put it up right away. The next episode is an interview with the star of “Traxx,” Shadoe Stevens talking about the movie and his career as a radio DJ.